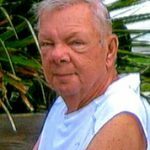 Fred Borron Lindsey passed away peacefully with family at his side on March 30, 2016. 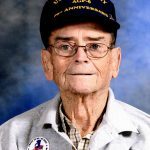 Born in Alabama on July 6, 1924, Fred was a very independent man with a will of steel. He was never short of ideas to prolong his independence and demonstrated this characteristic until the very end. Fred was a World War II veteran and a purple heart recipient and was thrilled to take the Honor Flight to Washington D.C. to visit the World War II Memorial. Fred was preceded in death by his wife, Marie (Doucette) Lindsey, grandson Keith Cox, 3 brothers Alfred, Ellis, and Hugh, and a sister June (Lindsey) Reeves. He is survived by his 5 children Linda (Lindsey) Self of Gurnee, IL, Fred Lindsey of Clearwater, FL, Pam (Ken) Cox of Bascobel, WI, Dave (Nancy) Lindsey of Libertyville, IL and Bob Lindsey of Seattle, WA, his 7 grandchildren, and 8 great-grandchildren, all of whom loved him dearly … Everybody loved Fred. The family would like to thank Advocate Condell Hospice and Libertyville Manor for their kindness and compassion while caring for our father. Fred’s remains will be cremated at Strang Funeral Chapel & Crematorium 410 E. Belvidere Rd. Grayslake, IL with a memorial service to be held on Fred’s 92nd birthday. For more information log onto www.strangfuneral.org or call (847)223-8122. Russell Clarence Schnor, age 86, of Grayslake, passed away Wednesday, March 30, 2016 at Advocate Condell Medical Center in Libertyville. He was born December 18, 1929 in Waterloo, Iowa, to John and Lillian (nee Zell) Schnor. Russell was a retired Army Sargeant. He loved Western movies and war movies. He enjoyed camping and family outings to the casino. He was also an avid beer drinker. He is survived by his wife of 56 years, Rose Schnor; his children, Roslyn (Alan) Beitzel of Gurnee and Rhonda (Michael) Wojciechowski of Libertyville; his grandchildren, Amanda (Craig) Harmer of Lakemoor, Jason (Stephanie) Wojciechowski of Wildwood, and Jessica (Paul) Dworianyn of Round Lake Park; and his great-grandchildren, Kellyn Harmer and Evan Harmer. He was preceded in death by his parents and two brothers, Al and Bobby Schnor. Memorials in his name may be made to St. Jude’s Childrens Hospital or Shepherd of the Lakes Lutheran Church in Grayslake. A celebration of life will be held on Saturday, May 14, 2016 at 11:00am at The Shepherd Of The Lakes Lutheran Church 285 Washington St, Grayslake, Ill 60030. Arrangements were entrusted to Strang Funeral Chapel & Crematorium, 410 East Belvidere Road, Grayslake, IL 60030. For more information log onto www.strangfuneral.org or call (847)223-8122. Babara Opalessence Dreyer, 80, a resident of Libertyville, IL passed away March 26, 2016 at Manor Care Nursing Home in Libertyville, IL. She was born March 28, 1935 to Thelma Davidson and Albert J. Krueger. Barbara had many interests which included gardening, sewing, quilting, embroidery, ceramics, crocheting, horses, and big sailing ships. Barbara is survived by her children Barbara (Richard) of Hainesville, IL, Gary of Homestead, FL, Laurie of Arizona, David (Hope) of Twin Lakes, WI, and Henry (Beth) of Elmhurst, IL, and her ten grandchildren. She was preceded in death by her parents, her husband Gerhardt “Gary” Walter Dreyer, and her stepbrother, James Ray Simpson, born 1936 weighing, 42 ounces, and having lived only 13 days. A visitation is scheduled for Saturday, April 2, 2016 from 2:00 p.m. until 3:00 p.m. with a memorial service commencing at 3:00pm at Strang Funeral Chapel & Crematorium, 410 East Belvidere Road, Grayslake, IL 60030. For more information log onto www.strangfuneral.org or call (847)223-8122. 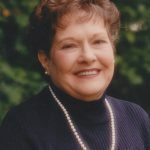 Jean A. McSorley, 83, a resident of Pine Mountain, GA and formerly of Grayslake and Wildwood, IL, passed away Sunday, March 27, 2016. She was born May 19, 1932 in Chicago, IL. She is survived by Thomas (Rita) McSorley, Cynthia (Terry) Richter, Patricia (John) Grubbs; eight grandchildren; and eight great-grandchildren. She was preceded in death by her husband, Thomas McSorley. A visitation is scheduled for Thursday, March 31, 2016 from 10:00am until 11:00am with a funeral service commencing at 11:00am at Strang Funeral Chapel & Crematorium 410 E. Belvidere Rd. Grayslake, IL 60030. Interment will follow at Highland Memorial Park in Libertyville, IL. On March 16, 2016, Jerrolyn McCauley (nee Shuck), beloved mother of Mary Carole McCauley, Kelly McCauley, Paula Rothacker, Jim McCauley, Tom McCauley and Colleen Shannon; dear sister of Delphine Janusz, Mari Schala and Celeste Forbes. Funeral mass at 11:00 am Tues. Mar. 29 at St. Paul the Apostle Church, 6401 Gages Lake Rd. Gurnee, then burial at Ascension Cemetery, 1920 Buckley Rd. Libertyville. The family suggests memorial gifts to Mayo Clinic (http://www.mayoclinic.org/give, 855-852-8129, Mayo Clinic, Dept. of Development, 200 First Street SW, Rochester, MN 55905) and directed to Wegener’s Disease Research. . Arrangements were entrusted to Strang Funeral Chapel & Crematorium, 410 East Belvidere Road, Grayslake, IL 60030. For information, please call 847-223-8122 or visit www.strangfuneral.org. 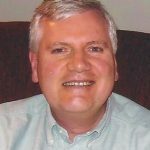 Matthew Lee Anderson, age 59, of Salem, Wisconsin, passed away Saturday, March 19, 2016 at his home. He was born January 29, 1957 in Waukegan, IL. Matthew was a member of CrossWay Community Church in Bristol, WI. He was Vice President, Mechanical Engineering, at Cummins-Allison Corp. Matthew is survived by his wife, Sandra, whom he married on April 30, 1977; his children, Eric (Tiffany) Anderson, Birgit Anderson and Lynette (Jon) Sanchez; grandchildren, Oliver and Eloise Anderson and Ari and Noa Sanchez; brothers, David, John, Paul, Phil, Jim and Mark Anderson; his father William Anderson; as well as many cousins, nieces and nephews. He was preceded in death by his mother, Dolores Anderson. A visitation is scheduled for Tuesday, March 29, 2016 from 4:00 p.m. until 8:00 p.m. at Strang Funeral Chapel & Crematorium, 410 East Belvidere Road, Grayslake, IL 60030. Funeral services are Wednesday, March 30, 2016 at 10:30 a.m. at CrossWay Community Church, 13905 75th Street, Bristol, WI. Memorial donations may be made to the American Cancer Society. For more information log onto www.strangfuneral.org or call (847)223-8122. 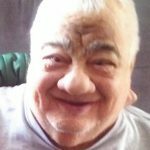 Michael A. Rizzo, 76, a resident of Round Lake Beach, passed away Saturday, March 19, 2016, at his home. He was born December 9, 1939, in Chicago, Il to Peter and Grace Rizzo. Michael was a veteran having served with the US Army and had worked for IDOT for over 26 years. Michael is survived by his wife of 53 years, Donna, his daughters Virginia (Shane) Hunt and Carole (Scott) Behenna, his grandchildren Trevor and Madison Hunt and Zachary and Michael Behenna, his sister-in-law Barbara Carlson, and many nieces, nephews, and cousins. He was preceded in death by his parents and his brother Leonard. A visitation is scheduled for Wednesday, March 23, 2016 from 4:00pm until 8:00pm at Strang Funeral Chapel & Crematorium 410 E. Belvidere Rd. Grayslake, IL. Interment will be held privately. In lieu of flowers, memorials may be made to the Make-a-Wish Foundation. For more information log onto www.strangfuneral.org or call (847)223-8122. Aaliyha M. Flory, age 3, of Gages Lake, passed away Wednesday, March 16, 2016 at Ann and Robert M. Lurie Childrens Hospital in Chicago. She was born on July 27, 2012 in Evanston. Friends of the family may visit on Saturday, April 2, 2016 from 11:00 a.m. until 1:00 p.m. at Strang Funeral Chapel & Crematorium, 410 East Belvidere Road, Grayslake, IL 60030. Funeral services will be at 1:00 p.m., Saturday, April 2, 2016 at the funeral chapel. For information, call the funeral chapel at 847-223-8122 or visit www.strangfuneral.org. Bruce W. Bahde, 68, a resident of Grayslake, passed away Thursday, March 17, 2016. He was born November 12, 1947 in Chicago, IL to William and Helen Bahde. Bruce was a member of 134 IBEW of Chicago and a US Air Force veteran. He was an avid golfer, loved traveling as an RV enthusiast, and researching Civil War history. Bruce enjoyed fishing, bowling, woodworking and genealogy. Bruce is survived by his wife of 32 years, Donna (nee: Andrews), his children Michael Bahde of Stevens Point, WI, Amy (Roger) Brown of North Carolina, and Jennifer Bilbrey of Stevens Point, WI, his grandchildren Stephani, Reese, Ethan, Zachary, and Matthew, and his brother Brian Bahde. He was preceded in death by his parents. A visitation is scheduled for Monday, March 21, 2016 from 11:00am until 12:00pm with a funeral service commencing at 12:00pm at the Strang Funeral Chapel & Crematorium 410 E. Belvidere Rd. Grayslake, IL. Interment will be held following the service at Avon Centre Cemetery in Grayslake. In lieu of flowers, memorials may be made to the Disabled Veterans of America. For more information log onto www.strangfuneral.org or call (847)223-8122.